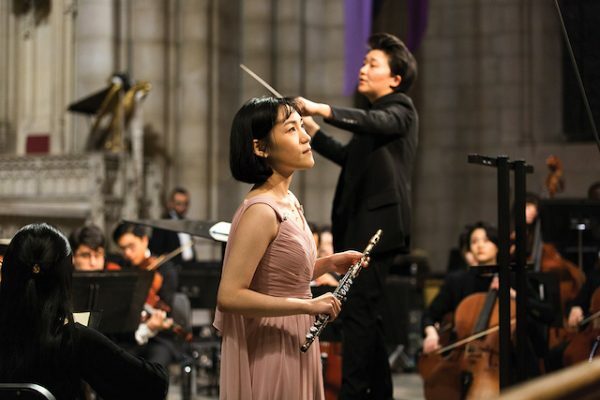 Manhattan School of Music prepares highly talented students for careers as passionate performers and composers and to be imaginative, effective leaders in the arts. Our students thrive in a supportive atmosphere that encourages excellence, values individuals, and welcomes innovation. Manhattan School of Music celebrates its 100th Anniversary in 2018–19 with the re-opening of its fully-renovated concert hall, a new campus entrance, and a season of special events and performances to mark this auspicious landmark. Situated in Morningside Heights on Manhattan’s West Side, MSM’s closed campus boasts 22 classrooms, 130 practice rooms, 8 performance spaces, 2 recording studios and a 450 bed residence hall. MSM offers 700 performances per year, including fully-staged operas, orchestral concerts, student and faculty recitals, jazz concerts, and more than 100 master classes a year. MSM’s location gives students the opportunity throughout the year not only to hear, but also to perform, music in some of the greatest venues in the world. In recent years, MSM student ensembles have performed at Carnegie Hall, Lincoln Center, Jazz at Lincoln Center, Birdland, National Sawdust, the Apollo, and the Cathedral of St. John the Divine. 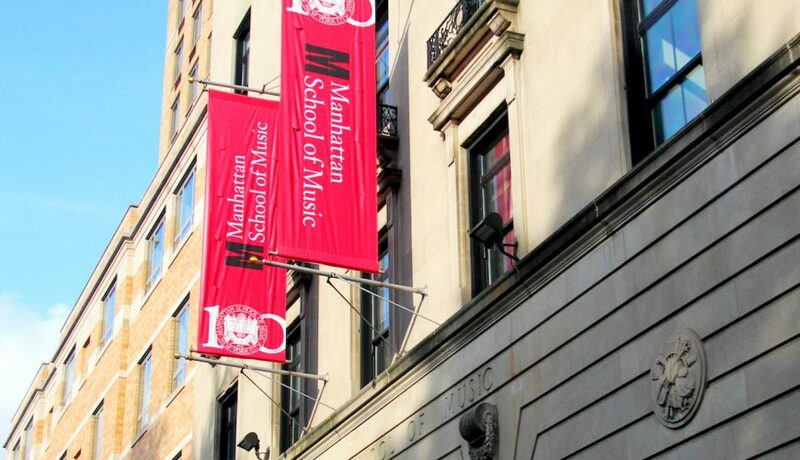 Manhattan School of Music’s faculty is made up of members of New York City’s leading performing institutions–the New York Philharmonic, Metropolitan Opera, New York City Opera, Chamber Music Society of Lincoln Center, Lincoln Center Jazz Orchestra, and the Orpheus Chamber Orchestra–as well as acclaimed soloists, chamber musicians, and jazz artists. MSM offers Study Abroad options at numerous conservatories in Europe, for both undergraduate and graduate students. MSM’s Center for Music Entrepreneurship (CME) gives students the entrepreneurial skills and practical experience they need to succeed in the professional world. Students can take their MSM education beyond the campus. The Distance Learning Program: The Global Conservatory connects MSM with peer institutions through live videoconference master classes where students can learn from renowned faculty and artists and engage with fellow student musicians around the world. MSM also provides students with opportunities to take part in community engagement programs and arts-in-education programs to prepare them to become effective artist educators. Your name and email address are held in strictest confidence by MajoringInMusic.com and Manhattan School of Music... they will not be shared with anyone else.